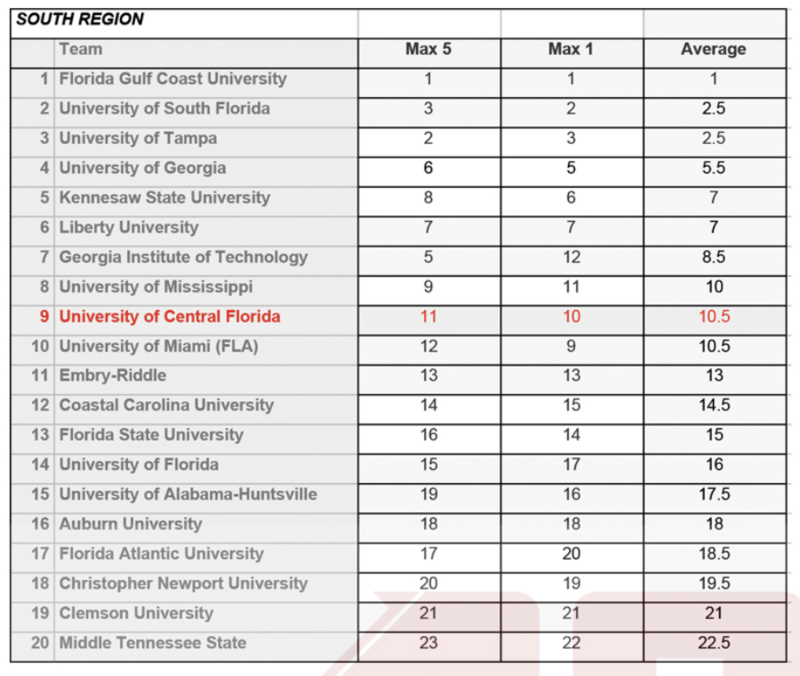 For the first time this season, the Blue Raiders are officially ranked! 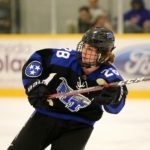 The Blue Raiders lost the first game 5-2 after a hard fought game. 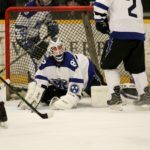 The second game was a different story as the Raiders took charge and collected a 6-3 win. 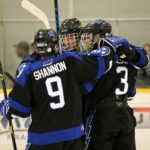 They are off for a few weeks and then take on Robert Morris at the Ford Ice Center. 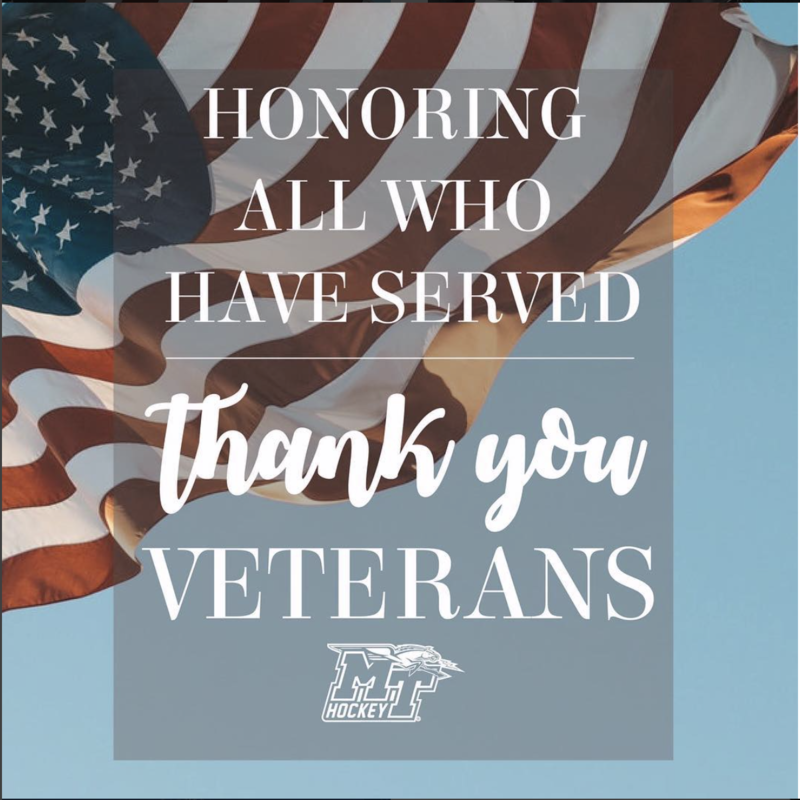 Thank you to all that have served this great country! 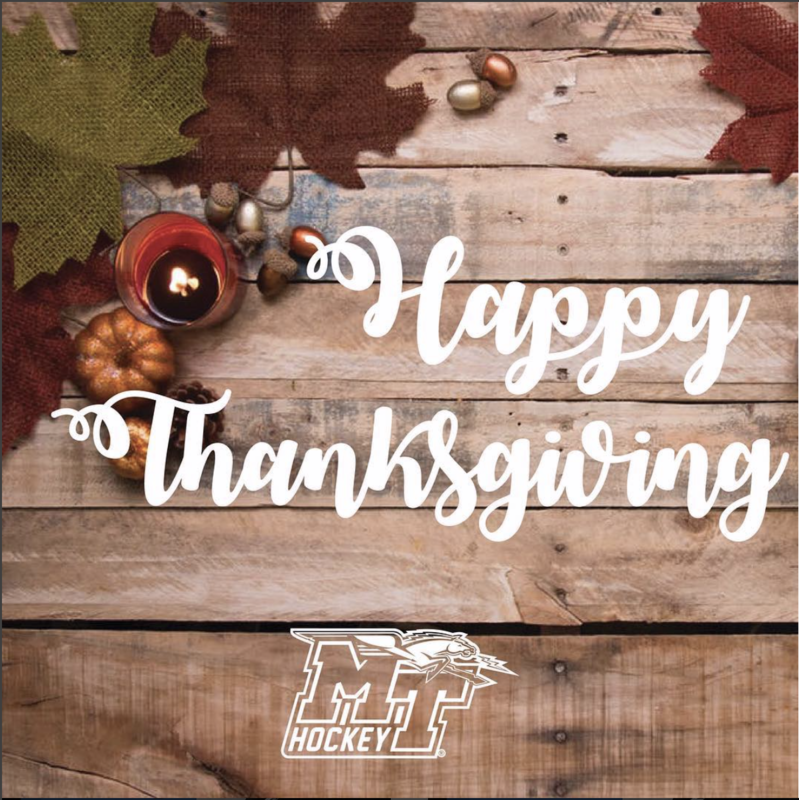 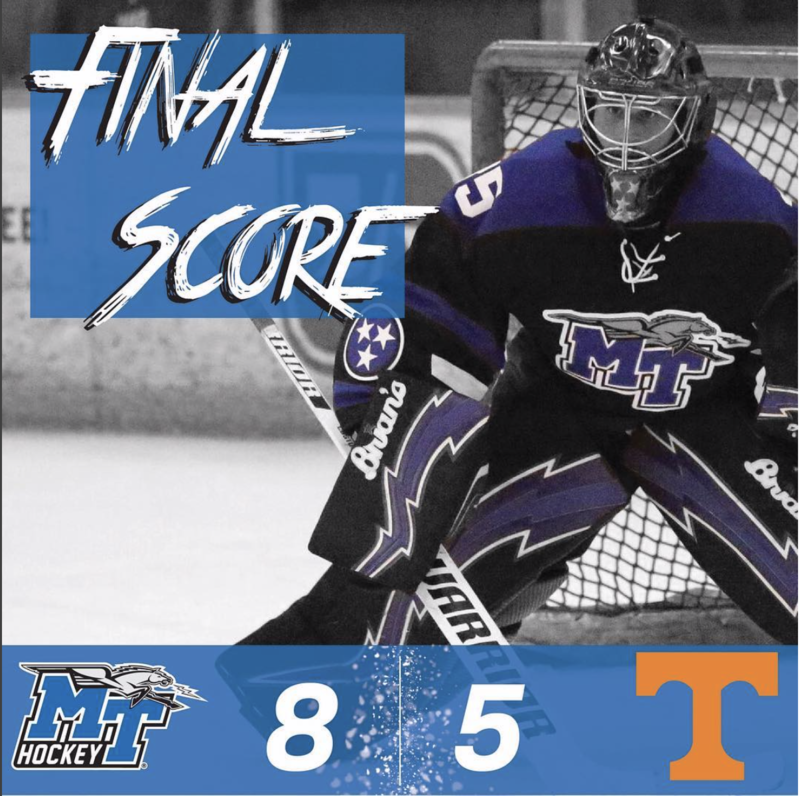 MTSU defeats Tennessee 8-5 after a great performance by Josh Friedenberger and Nick Kristinus. 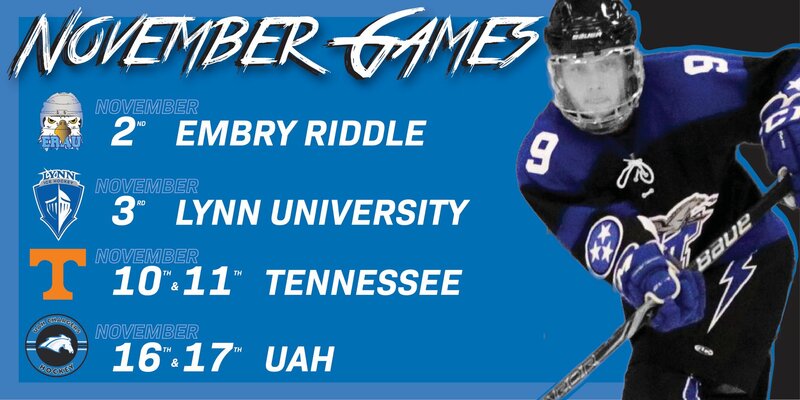 Raiders will be back home next weekend as they face UAH on Friday and Saturday. 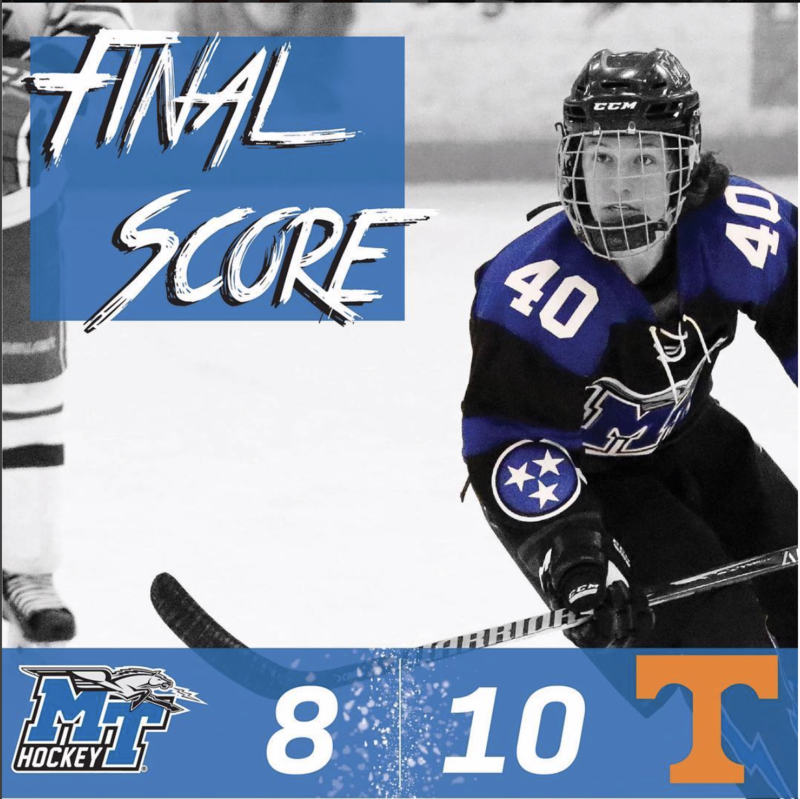 Blue Raiders fall 8-10 in Knoxville, TN after a tough battle. 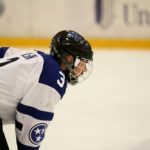 Raiders look to bounce the next day as they wrap up the trip Knoxville. 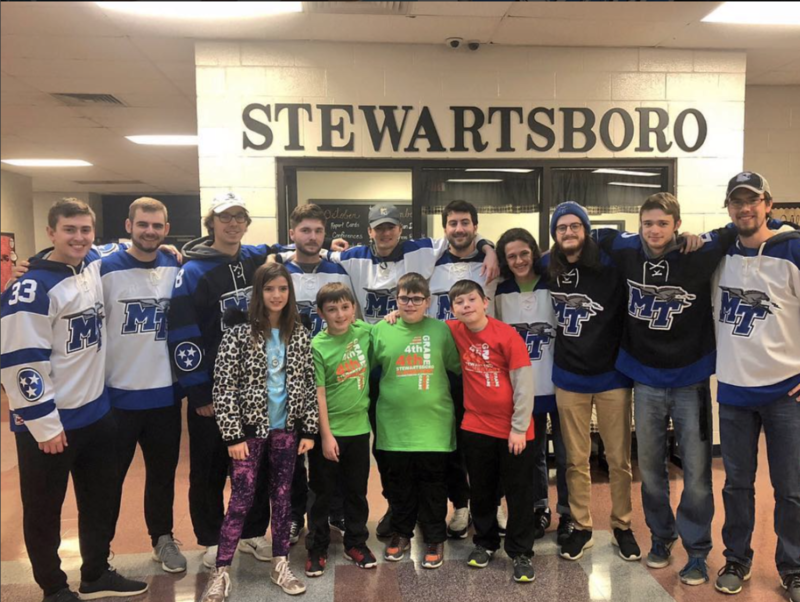 The Blue Raiders made a special visit Friday morning to Stewartsboro Elementary for High Five Friday. 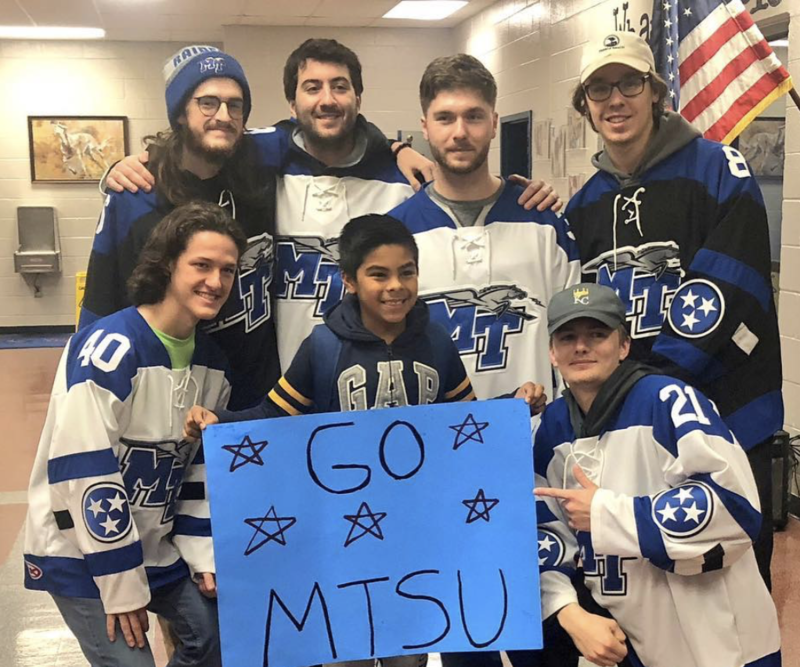 The team greeted the students as they made their way into school with high-fives and a little bit of dancing. 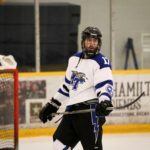 MTSU loses the second game in Florida after a tough battle with Lynn University. 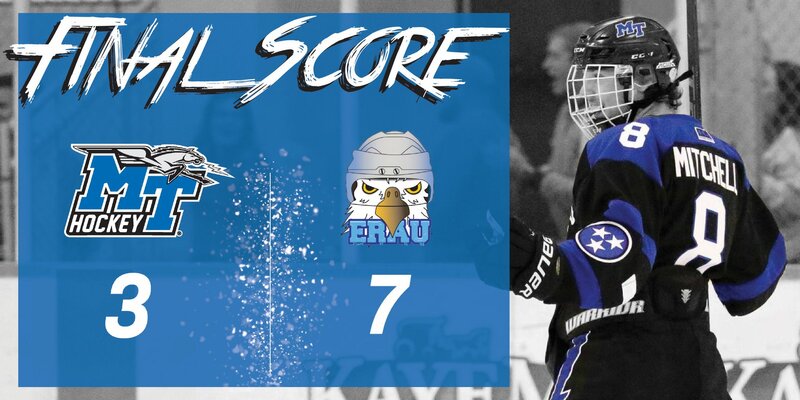 Goals by Captain Nathanael Wilson and Zachary Butler. 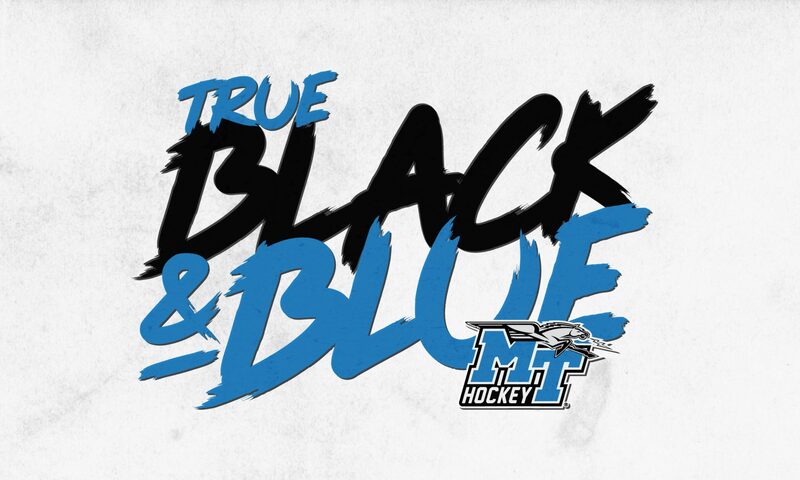 MTSU travels to Tennessee next weekend for a double header. 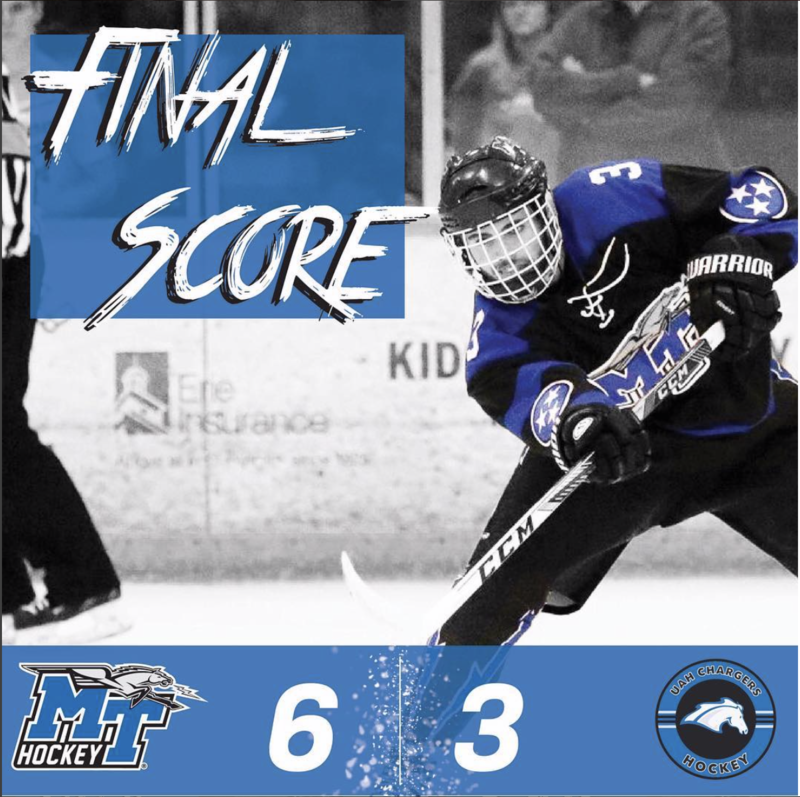 The Blue Raiders drop the first game in Florida by the score of 7-3. 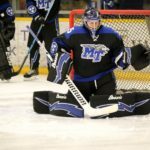 MTSU faces off against Lynn University the following day. 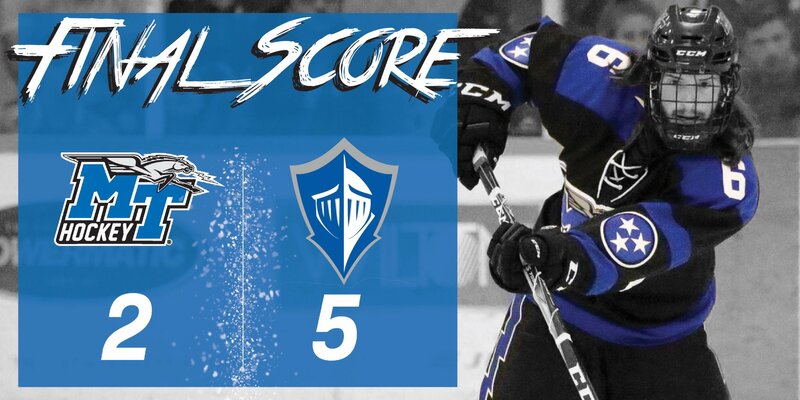 Goals by Nick Kristinus, Cole Drew and Noah Fleckenstein.